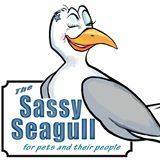 The Sassy Seagull will definitely be participating in the July 4 Alive After Five from 5 to 7:30 PM. Wine and hors d’oeuvres will be provided! A wine walk is one of the highlights of Alive After Five. To participate in the wine walk, commemorative glasses and walking maps will be on sale for $10 and will be available at Picnic Shelter on the Port of Bandon’s Boardwalk or at Stillwagon Distillery in Old Town when the event starts at 5 PM.